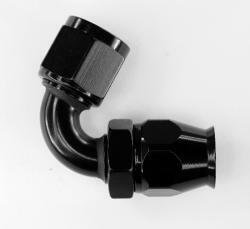 TechAFX -10 Black, Aluminum, swivel, A-N Fittings for PTFE (Teflon) Hose. We're proud to be the 1st company to offer a complete selection of the new -10 sizes. Everybody wants 'em, nobody's got 'em, except TechAFX!